Through workshops and certificate programs, Noble Desktop has trained tens of thousands of designers since 1990 in design theory and apps such as Adobe Illustrator, Photoshop, InDesign, and Sketch. Become a well-rounded Adobe expert, learn design principles, and design & prototype a great user experience. 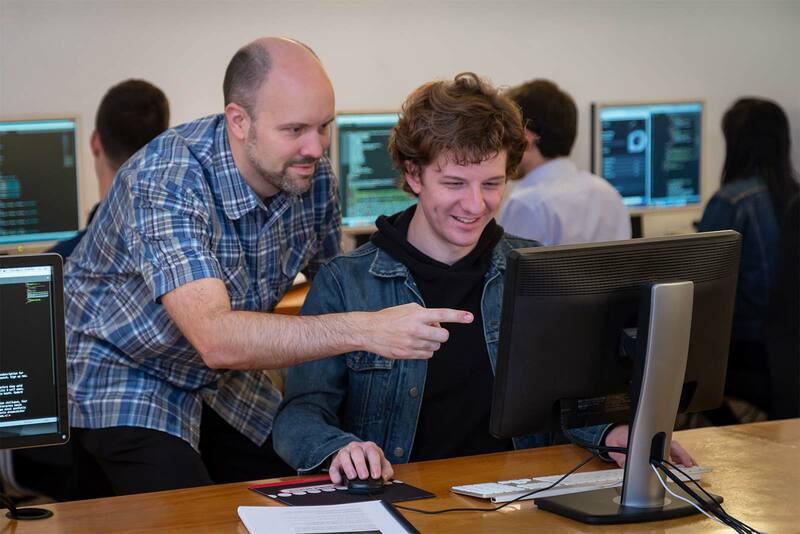 Earn a certificate in graphic design in full or part-time New York State approved programs. Learn to create webpages by coding HTML & CSS. We focus on best practices for structuring the content of your webpages with HTML, and then styling the content with CSS. Start creating responsive websites that adapt to multiple screen sizes. After coding you’ll upload a site to make it live! Kick your CSS skills up a notch by learning how to code more complex and visually interesting layouts. In this CSS training, you’ll learn about vector graphics (SVG), styling gradients, shadows, positioning, CSS animated transitions, transforms, and much more. Learn how to use flexbox and grid to layout and align webpage content, and make it adapt to different size screens. You’ll learn how both of these newer CSS techniques are useful, and when to use each. 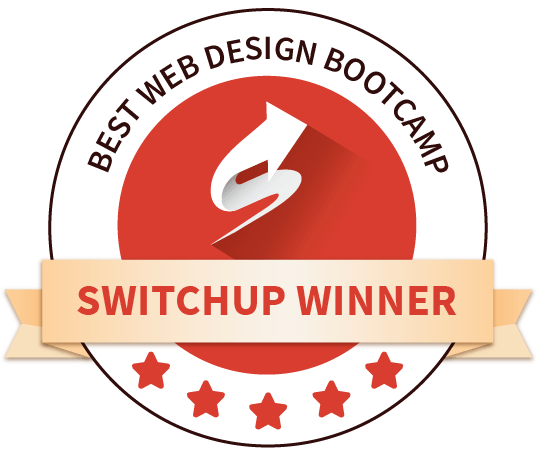 You’ll also learn how to use Bootstrap (which uses Flexbox) to build out layouts quickly. Learn video editing, motion graphics, and special effects, by mastering Adobe Premiere Pro and After Effects. Then showcase what you've learned by creating a motion graphics demo reel. Adobe After Effects is a powerful tool for animation and video post-production. It can be used to create stand-alone videos, animations, special effects, animated titles, and much more. Use it to create compelling video content for broadcast TV and web. In this intermediate/advanced After Effects course, we’ll master text animations and create transitions between multiple layouts. Through several hands-on real-world projects integrating graphic elements with audio, video and photo elements, we’ll master motion graphics workflow: the process motion graphics animators take, to create projects from design to final delivery. This hands-on, individualized course will take your current software and design skills to the next level. You'll learn the principles of motion graphics and the best practices to create unique motion graphics from concept to completion, resulting in portfolio-worthy projects to show potential clients. Learn how to use Premiere Pro in this comprehensive 18-hour class. You’ll start with the basics and learn file structure and organization, importing footage, exporting, using the Timeline, creating titles, working with PSDs, and audio tracks by working on real film projects. Then quickly dive into more advanced features including multicam editing, color correction, speeding up footage, and stop-motion loops. Get started with video editing techniques in Adobe Premiere Pro. In this one-day Premiere course, you’ll learn file structure and organization, importing footage, exporting, using the Timeline, creating titles, working with PSDs, and audio tracks by working on real film projects. This class is designed to take your Premiere Pro skills to the next level. The class covers multicam editing, how to speed up and freeze-frame footage, stop-motion loops, dynamic transitions, speed-ramping footage, and color correction techniques. In addition, we'll cover how to export your projects for social media, create animated GIFs, and much more. In this one-day Final Cut Pro X course, you’ll engage in real video editing projects to learn crucial editing skills, including file structure and organization, importing footage, exporting files for sharing, using the Timeline, creating titles, and working with PSDs and audio tracks. Along the way, you'll learn the leading principles, theories, and methodology behind filmmaking and editing, and leave with the skills to start adding Final Cut Pro X to your design repertoire. Our design workshops are designed for those who need a quick introduction to a topic. You’ll emerge with a solid understanding of the basics and plenty of knowledge to propel you forward. This After Effects training covers the basics of the user interface, the timeline, video, layer animation, easing in and out, fade-ins, and more. This one-day After Effects course will give you a strong working knowledge of After Effects’ capabilities for creating GIFs, animating logos, and importing layered files from Illustrator and Photoshop. This UX class will provide an overview of the key concepts of user experience (UX) design. Class material will be a mix of lecture, discussion, industry examples, and classroom activities. You'll leave the class with a broad understanding of how UX designers work with other team members, fundamentals of the industry, and how designers move from research insights to design concepts. Learn fundamental design principles and apply your knowledge using tools such as Adobe Illustrator, InDesign, Photoshop, After Effects, Premiere Pro, and Sketch. Design websites, build magazine layouts, create vector graphics, animate engaging content for the web, edit video. Pick up all of these skills in our introductory courses and comprehensive bootcamps in New York City. You’ll learn hands-on with real-world projects in our classes, available full-time on weekdays, or part-time on weeknights or Saturdays. I've used Photoshop for many years, yet this class taught me advanced functionality in the software that I had no idea existed. And the instructor, Ethan, provided excellent instruction on applying retouching techniques to real-world examples. This will help further my career, for sure. Before the class, I had minimal UX knowledge and no idea where to begin. My teacher, Jason, was nothing short of amazing. I started off in total confusion and left with a new way of looking at design. The class taught the logic of UX, my questions were all answered, and best practices were recommended. I learned while having fun with my personal project. There was a lot to learn in a short amount of time but it never seemed overwhelming. I highly recommend! Outstanding. Highly recommend the course and Noble Desktop overall. Instructors are the best, exercises and manuals prove helpful long after the class has ended. The only place I would consider to take a course...continues to help me grow in my design career. Every creative knows that learning never ends. When I took my first course at Noble Desktop several years ago, I was impressed by the caliber of instructors, the friendly atmosphere and the mix of students from novice to expert. But what I most love about Noble is the way they are always evolving with relevant, cutting edge courses to meet the ever-changing needs of the design & development community. It truly is an essential resource for me and my employees. This class taught me exactly what I needed to get started in a program I've never used before, and some bonus tools as well! I'm excited to get working with this and will definitely be coming back for an advanced course soon. You will build your own projects in our design classes. Learn by doing! Since we started in 1990, over 40,000 designers have attended Noble Desktop’s courses. Our seminars, courses, and certificate programs have earned more than 2,000 reviews from designers and developers in New York and abroad. Our alumni are employed at top international firms, including NBCUniversal, Oracle, American Express, and publishing giant Condé Nast. Many of our alumni are successful freelance designers. Interested in a career in design? Confused about what career you should choose? UX Designer, Graphic Designer, UI or Visual Designer, and Motion Designer are just a few job titles you’ll see on most design job boards. The challenge is that these job titles often overlap in job duties. There can be confusion about what different designers do. This guide will help you understand the different types of design and narrow down your choices. Graphic Design is visual communication through artwork or combined images and text. Both print and digital designers often use the same processes and Adobe programs including Photoshop, Illustrator, and InDesign. Graphic designers create product packaging, advertising materials in print and digital formats, logos, and much more. Print designers typically create brochures, business cards, product packaging, subway banners, books, and other physical products or documents. Graphic Designers use the same programs to develop digital designs such as web banners, social media graphics, and eBooks. In some cases, these designers will use different output formats for printed and digital designs. According to Hubspot, Facebook users consume 100 million hours of video daily. To stand out among the pack of designers, many designers are adding motion design to their portfolio. The most important part of motion design is choosing what to animate and when. Motion designers combine graphics, sound, motion, and visual design techniques to create more compelling visuals. Adobe After Effects is used to animate graphics and text, while Premiere Pro edits video. A growing field within motion design is web animation. Web animators use GreenSock to animate pictures, paragraphs, and any other element on a website. Adobe Photoshop is also used for web animation, specifically to create simple animated GIFs. For more complex animated GIFs, After Effects is also used. Animated GIFs are often used in HTML Email. UI or Visual designers work with UX designers to design visuals for websites, apps, and more. They determine the colors, typography, and appearance based on insights gained from the UX design process. Visual designers typically use Sketch (available on Mac only), Adobe XD, or Photoshop to lay out web pages.